This mural was a whimsical way to cover an otherwise unpleasant electrical box outside of the John Natsoulas Gallery. 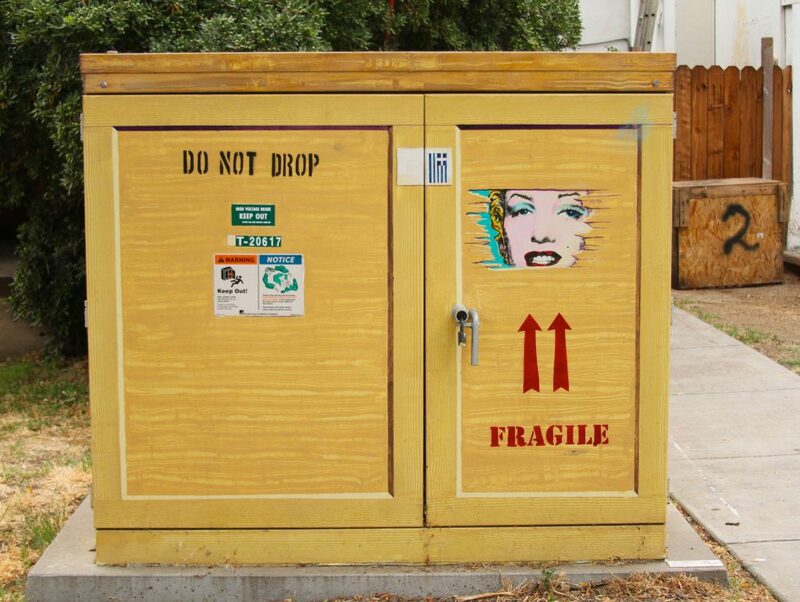 The mural mimics a wooden crate used to ship fragile artwork with areas of the crate displaying masterpieces such as The Mona Lisa and Andy Warhol’s Marilyn Monroe. The mural “Fragile Delivery” helps bring to life the front of the gallery and is admired by thousands of people daily.